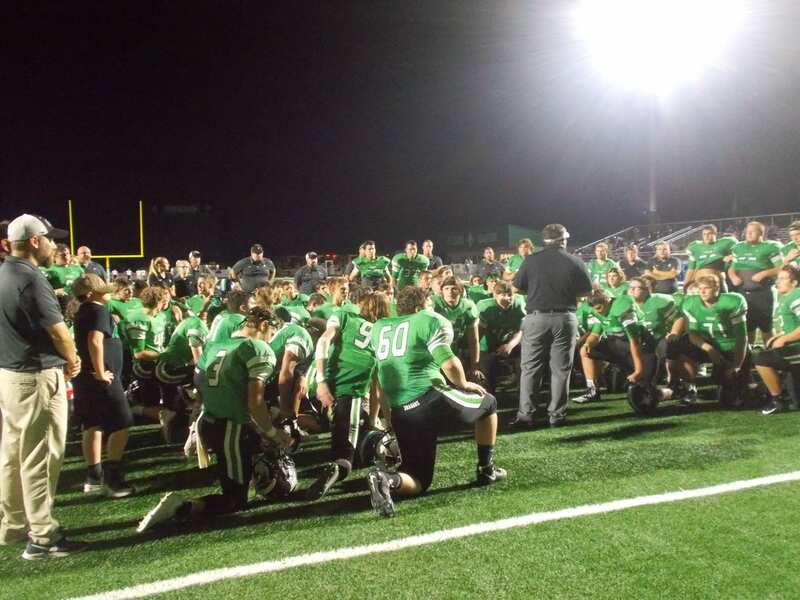 It had been a season of firsts for the PHS Dragons football team. First undefeated regular season, first region championship, & after last week, first state playoff win. Last Friday, was another first. First time playing in the 2nd round of the playoffs. Their opponent? The Troup County Tigers. Troup came into the game 10-1, & they represented region 5 as the #2 seed. This was the first ever meeting between these two schools in football. The Tigers, took the opening kickoff deep into Dragon territory to begin the game. A 26-yd run at the 10:55 mark of the opening quarter gave Troup the 7-0 lead. Troup, would then recover a fumble on the ensuing kickoff, & score on the next play after a 31-yd run to make it 14-0, with 10:41 left in the 1st quarter. The Dragons, started building a drive as they crossed midfield & looked to cut into the Tiger lead. Troup, intercepted a pass by CJ Streicher, & would score to make it 21-0, with 8:38 to go in the 1st quarter. The Tigers, would again find the end zone after a 70-yd pass, to make it 28-0 Troup, going to the 2nd. Troup scored twice in the 2nd quarter. Once after a 4-yd run, & once after a 46-yd run. Pickens, would find the end zone for the first time after a good drive & a 38-yd touchdown run from Senior Michael Burrell, that brought the crowd to their feet. Troup County led the Dragons, 41-7, at the half. The Tigers added two scores in the 3rd. a 4-yd run, & a 51-yd pass to make it 53-7, going to the 4th. In the 4th, Burrell would find the end zone again as he was able to punch it in from a yard out. Your final, Troup 53, Pickens 14. 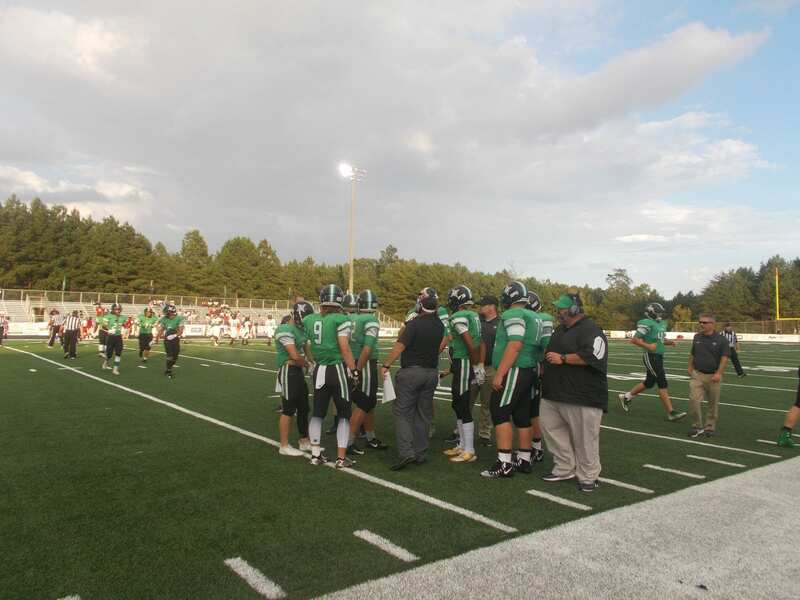 Soggy weather was the theme this past Friday as the PHS varsity football team traveled up to Walker County, to take on the LaFayette Ramblers for their regular season finale. 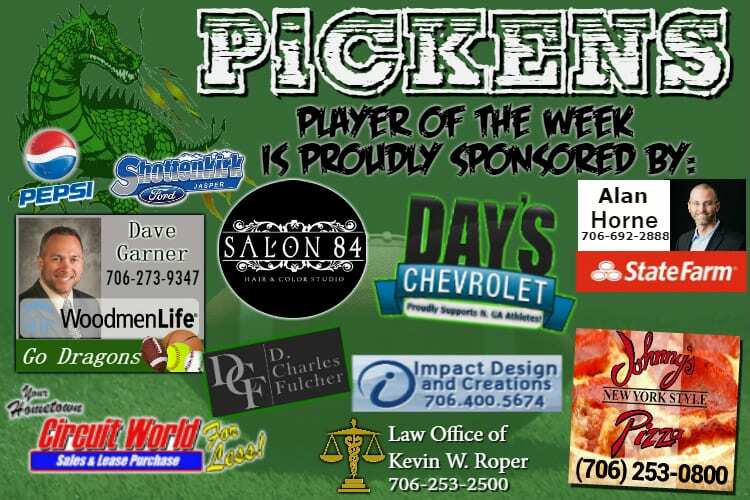 Pickens, by virtue of their win last week against Ridgeland, clinched the 6-AAAA crown, but was looking for another PHS first, an undefeated season. To do that, they would have to get by a much improved Rambler team. LaFayette, got the ball to start the ball game and looked to get something good going early for their Senior Night. On a 3rd & long play, the Rambler QB scrambled to his left and found a receiver down the field, who would then take it 76-yds for the score at the 10:47 mark to make it 7-0 LaFayette. The Dragons, were able to drive down on their first possession, & tie things up after a 10-yd TD run for Robert Davis, to make it 7-7, with 7:27 to go in the 1st quarter. Pickens took the lead after a little trickery when QB CJ Streicher handed it off to Michael Burrell, who acted like he was running a reverse. Instead, Burrell stops, & throws back to a wide open Streicher for a 15-yd touchdown. Pickens tried a two point conversion, but were unsuccessful. We would go to the 2nd, Dragons ahead, 13-7. The Dragons, added to their lead early on in the 2nd quarter when Streicher threw a lob pass & Zach Goss, was able to haul it in & get a foot down in the back of the end zone for the 16-yd score at the 10:36 mark of the 2nd. Dragons led, 20-7. The Ramblers, had a good drive of their own, and capped it off with points after a 5-yd TD run at the 6 minute mark of the 2nd. The PAT was ruled no good, so Pickens held a 20-13 advantage. 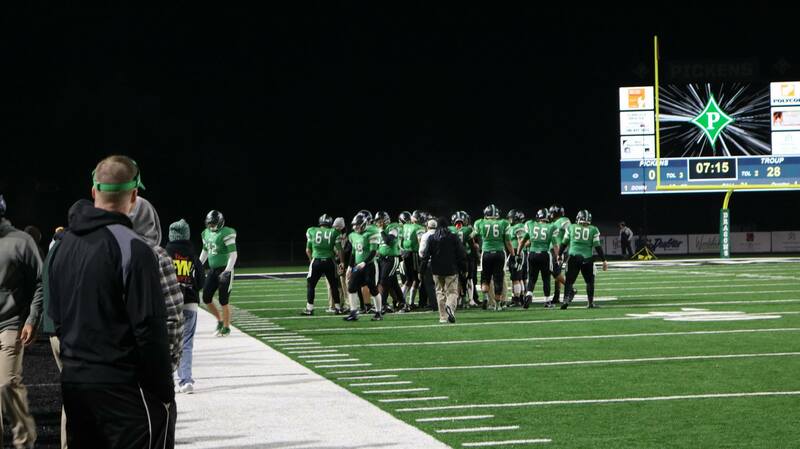 The Dragons, were able to march down the field and end their drive with 6 after a 23-yd TD run from Davis. Davis’ 2nd touchdown of the night gave Pickens a 27-13 lead with 4:20 left in the first half. At the 2:39 mark, the Dragons defense came up with a big play as Burrell, playing corner, tipped a pass to himself, & took it 20 yards for the touchdown. Making it 34-13 Pickens. Just before the half ended, Brady Moore was able to get in from 2-yds out, to make it 41-13 Dragons, going to the break. There were only two scores in the 2nd half & both came in the 3rd quarter. The first, came at the 6:27 mark when Alex Snelgrove, got in from 2-yds out to make it 48-13. LaFayette, found the end zone just before the quarter ended after a 10-yd run. Your final score for the evening, Dragons 48 Ramblers 19. 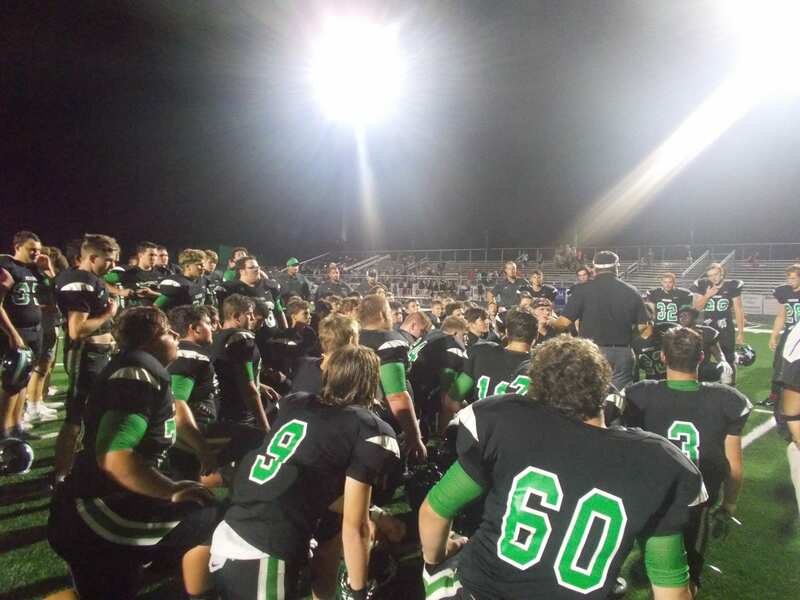 The Dragons, have completed their regular season, finishing 10-0 for the first time in school history. With a bye week this upcoming week, the Dragons next game will be in the 1st round of the State 4A playoffs on November 9th at home at 7:30 pm. Their opponent, is still to be determined. There is a possibility that the region 7 #4 seed, will come down to a 3-way tiebreaker if West Hall defeats Chestatee, Denmark loses to Flowery Branch, & White County loses to Blessed Trinity this Friday. Denmark, West Hall, & White County would all then be tied for 4th place. All three of those teams defeated each other during the season. How they will determine who gets the 4th seed, is unknown. 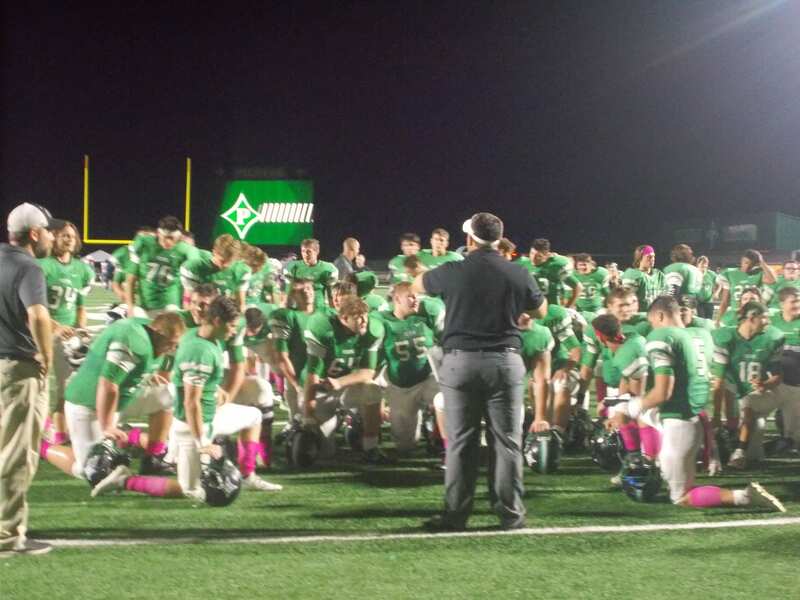 Last Friday night, the PHS Dragons varsity football team, fresh off being named the High 5 Sports Team of the Week, hosted the Heritage Generals in a big 6-AAAA region match up. 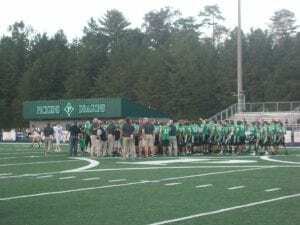 This was a big game for Pickens, not just because of the region implications,but because the Generals have come away the victors in the last two meetings. The Generals, won the toss and wanted the ball to start the game on offense. The Dragon defense, would force a General punt attempt. Heritage, went for a fake punt, but Pickens had it sniffed out, & gave the Dragons offense good field position for their first possession of the game. That possession ended with a touchdown for Pickens as Junior QB CJ Streicher got in from 2-yds out, to make it 7-0 Dragons with 5:35 left in the first quarter. Pickens added to their lead just before the end of the 1st quarter after a 22-yd TD run from Michael Burrell, to make it 14-0 Dragons, going to the 2nd. Pickens got back to work just 58 seconds into the 2nd quarter as Streicher lofted one up for Zach Goss, who made a great adjustment on the ball, and scored from 24-yds out to make it 21-0 with 11:02 left in the first half. 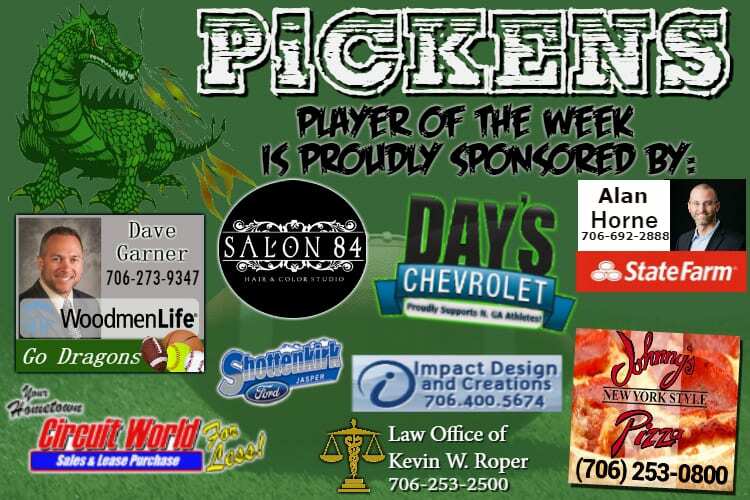 Last week’s #TeamFYNSports Sports Writer Player of the Week Trevon Hawkins added to the lead for Pickens with a 1-yd TD run to make it 27-0 Dragons with 9 minutes left in the 1st half. Much like the 1st quarter, the Dragons got points just before the end of the 2nd when Streicher tossed one up for Goss in the back of the end zone for a 6-yd TD to make it 34-0 Pickens over Heritage as we hit the half. The only score in the 3rd quarter came from the Dragons, who got the ball first to start the 2nd half. 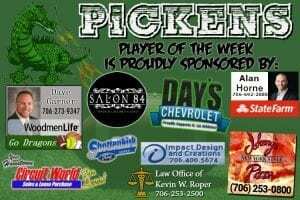 Brady Moore capped off the drive with a 1-yd TD run to make it 41-0 Pickens going to the 4th. The only score in the 4th quarter also came from the Dragons as Dawson Turner scampered in from 6-yds out to make it 48-0. Your final score, 48-0 Pickens over Heritage. Next Week, the Dragons will take to the road to take on the Bruins of Northwest Whitfield in another major game that’ll have big implications heading towards the final stretch of the regular season. Kick off is set for 7:30 pm. 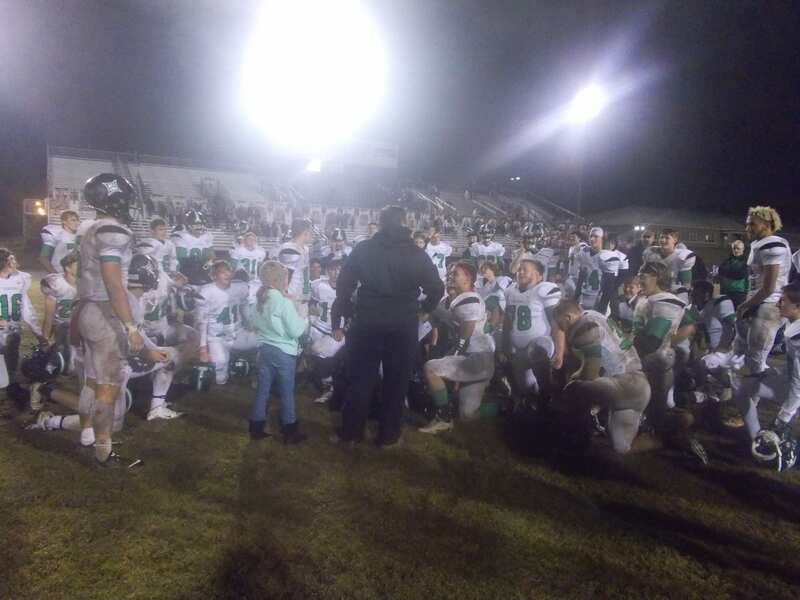 Last night, the PHS Dragons varsity football team took to the road for the first time in the regular season as they took on the Southeast Whitfield Raiders in a 6-AAAA region match up. Pickens, came into the game winners of 5 straight, 5-0 for the first time since 1986, & looking to continue their fast start to the season. Pickens won the toss, but elected to differ to the 2nd half, giving the home standing Raiders the first shot on offense. The Dragon defense got a stop, & the offense for Pickens took over. Michael Burrell capped off their opening drive with a 6-yd TD run to make it 7-0 Dragons with 9:13 left in the first quarter. 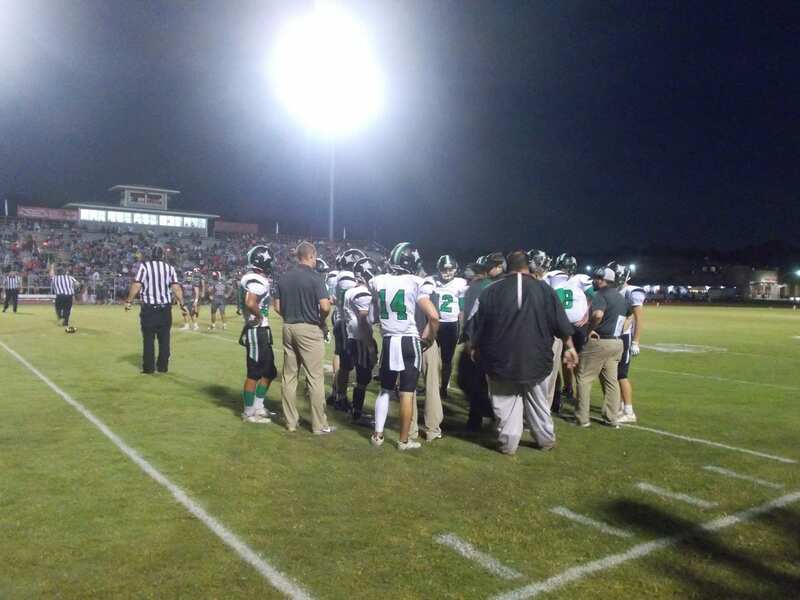 Nearly 3 minutes later, Pickens added to that lead after a 29-yd TD pass from CJ Streicher to an open Robert Davis made it 14-0 Dragons with 6:10 left in the opening quarter. Southeast Whitfield was able to cut the lead in half with a 2-yd TD run & as we’d go to the 2nd quarter, Pickens held a 14-7 lead over the Raiders. Streicher, got into the end zone with a 2-yd run of his own to make it a two score game again, 21-7, with 8:32 left in the first half. The only other score in the 2nd quarter came after a beautiful throw from Streicher to Alex Snelgrove from 28-yds out to make it 28-7 Dragons, going to the break. The Dragons, got the ball to start the 2nd half and at the 9:39 mark of the 3rd, added to their lead after a 5-yd TD run from Brady Moore, to make it 35-7. Davis, added a 1-yd rushing touchdown to his night to go along with his receiving touchdown in the 1st half at the 6:33 mark of the 3rd, to make it 42-7 Pickens. To cap off the 3rd quarter, Streicher would add his 3rd passing TD of the night as he threw a strike to Zach Goss. After Goss made one man miss, he was into the end zone from 25-yds out, to make it 49-7 Dragons over Southeast Whitfield, going to the 4th. The lone score in the 4th, came from the Raiders after a 7-yd TD run. Your final score for the game was 49-13, Dragons. 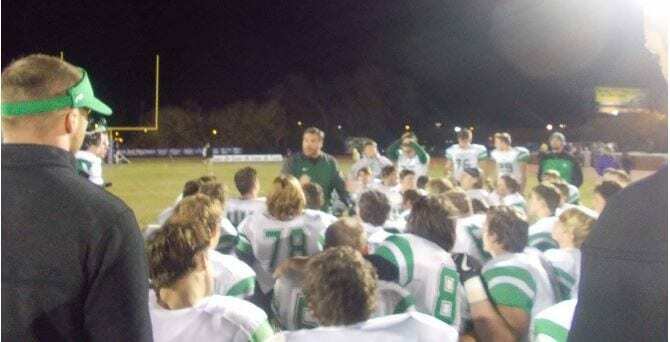 Pickens, will be back home next Friday as they take on the Generals of Heritage in another big 6-AAAA region game. Kickoff is scheduled for 7:30 pm. Region play in 6-AAAA began last Friday night as the PHS Dragons varsity football team welcomed the Bobcats of Gilmer to Dragons Stadium for Homecoming. Pickens, came into the game looking to be 5-0 in a season for the first time since the 1986 season. That team, started 6-0, & finished the season 8-1-1. Prior to the game, PHS honored the fallen Gilmer Middle School principal, Larry Walker. The PHS band played a rendition of Taps & Amazing Grace, followed by the two teams coming together at midfield. After a moment of silence, we were ready to get the game underway. The Dragons, won the toss and in a change up from recent weeks, decided to receive the opening kick off to begin the game. Pickens, wasted little time on their first possession scoring in just 35 seconds after a 23-yd TD run from senior Zach Goss to make it 7-0 with 11:25 left in the first. Junior QB CJ Streicher, added to the Dragons lead after a 52-yd TD run at the 2:51 mark of the 1st to make it 14-0 Dragons, going into the 2nd. The Dragons, would find the end zone on the first play of the 2nd quarter after a 23-yd TD pass from Streicher to Brady Moore, to make it 21-0 with 11:55 left in the 1st half. Senior RB Robert Davis, found his way to the end zone after a 51-yd TD run to give the Dragons a 28-0 lead over the Bobcats with 9:31 left in the 1st half. Pickens added to the lead with a 6-yd TD run from Kaleb Ray, to make it 35-0 Dragons with 5:56 to go before the half. Streicher connected with Michael Burrell for a 31-yd TD at the 3:43 mark to give Pickens a 42-0 advantage. At the 2:40 mark, Streicher connected with Davis for and 18-yd TD, to make it 42-0 Dragons, going into the half. The only scoring in the 2nd half came in the 3rd quarter. The Bobcats got on the board after a 16-yd TD run at the 6:17 mark, to make it 49-6 Dragons. With 47 seconds left in the 3rd, Jarod Whitmore scored for Pickens after a 27-yd run, to make it 55-6 Dragons. Final score, 55-6. 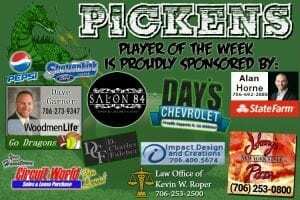 Pickens, will be on the road next week for the first time since their pre-season scrimmage against Denmark on August 10th when they travel to Dalton to take on the Raiders of Southeast Whitfield. Kick off is set for 7:30 pm.